Great restaurant names are like rings on a stranger’s fingers – they all have a story, and you need to find out what those stories are. Lipari is a little town off the coast of Sicily, and chef/owner Joe’s mother was from there. She was also the inspiration behind the opening of this place. 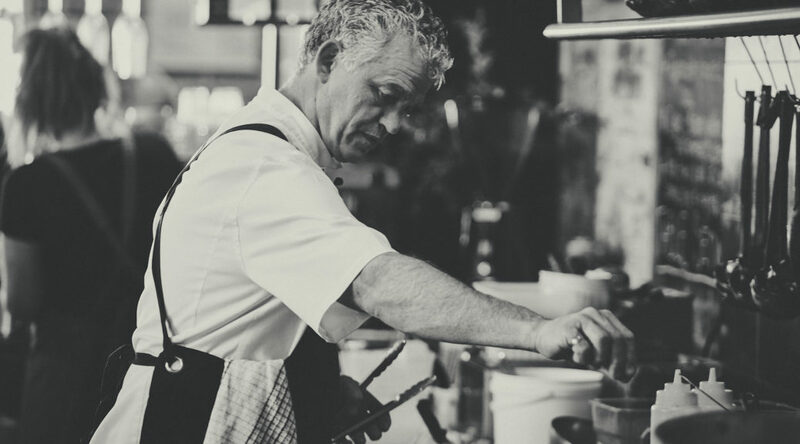 Joe was a latecomer to commercial kitchens– following a dream, he quit his job of many years. Little Lipari is a labour of love, a passion for food and a show of humble hospitality, inspired by his mother. Little Lipari is classic Italian generous hospitality, and it’s goddamn awesome. Joe takes seasonal produce (and the stuff his adoring customers bring him) and packs flavour into simple Italian dishes. The gnocchi is iconic, a true classic. Joe makes a light lemony hollandaise for his take on eggs Benedict with bartered lemons from a customer. Coffee at Lipari is a classic Italian thing too – a typically dark and luscious roast. The fit-out was inspired by local legend Tank, whose artwork adorns the town of Shepparton, most recognisably in the form of colourful fibreglass cows. Just off the Maroondah Highway, tucked up against the Warramate Hills, sits the winery, restaurant and cellar door of Medhurst Wines. The long driveway winds up the hill, past the red shed on the dam, past significant sculptures perched elegantly on the lawn, to the architecturally designed building which overlooks the picturesque close view. This part of the experience alone is worth the trip. Medurst is the ‘retirement project’ (if you could call such hard work retirement) of ex Southcorp CEO Ross Wilson and his wife Robyn. It’s a family business, executed in a thoroughly professional manner. Every detail on the property is carefully considered: from the wave of the vast front glass on the cellar door, to the way a winery of considerable size is perfectly nestled into the hillside. Speaking of detail, winemaker Simon Steele is all about the details. 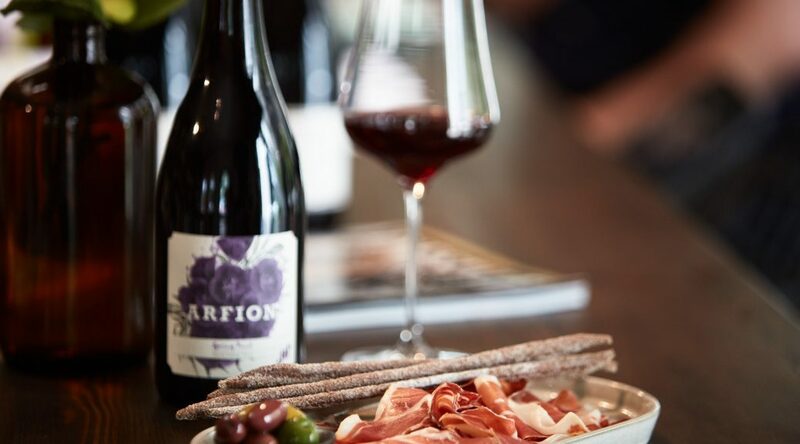 The Yarra Valley Pinot Noir is a fine expression of the fruit; bright cherry balanced with weight and complex spice notes. The Rosé, a perennial fave and often on the ‘Pink List’ at the Healesville Hotel, is dry, savoury and so so drinkable. With the newly renovated kitchen and dining area comes a new chef. Robin Sutcliffe brings his quiet, uncompromising passion for doing simple things right to Medhurst. The pickles, which provide a delicate acidic balance on platters and other dishes, are all made by him in-house. Simple dishes like arancini are elevated with his deft touch. Grazing food, dishes of deliciousness, and damn fine wines mean that a long slow lunch under the shade, overlooking the vines, makes so much sense. The headline here, though, is the recently renovated alleyway and new wine bar. Harvest Coffee serves Genovese coffee at the hole-in-the-wall counter from 8am every day. The selection of house-made pastries, toasties, cakes and slices is simple, and everything is made to be delicious, first and foremost. 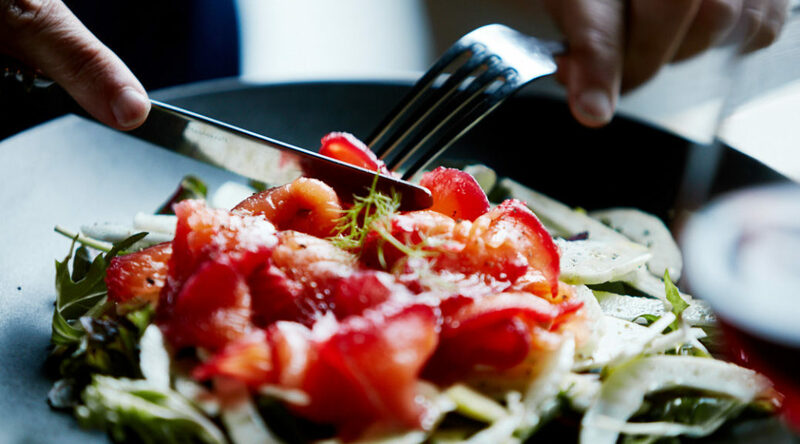 If you want lunch, don’t fret: the entire Healesville Hotel lunch menu is available to order from the hole in the wall, too. The poached chicken Asian salad is a standout for the health-conscious, and the seasonal beetroot and lentil dish is an earthy bomb of beautiful flavours. The Cellars are a new venture. Michael says it’s a mix of local and imported wine, and even some of his own cellar stocks. We spotted some rare gems like a vintage bottle of Wantirna Estate chardonnay on the shelf. You can order by the glass; or, for a corkage fee, take a retail-priced bottle and a couple of glasses into the garden for a lazy afternoon in the shade. There are some true undiscovered winners in the extensive wine selection. 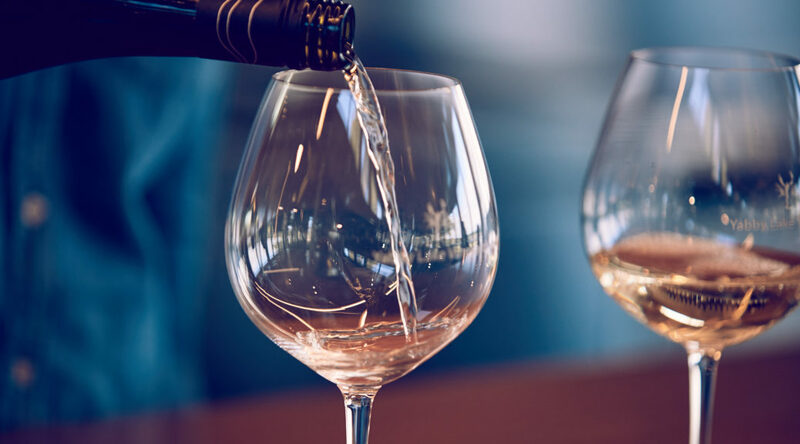 Three standouts would have to be the Scope Fiano (light, bright, zingy: summer in a glass), Aller Trop skin-contact pinot gris (the ideal rosé that isn’t rosé), and One Block chardonnay (funky and interesting, by Jayden Ong). Of course, by the time you read this, these wines might not be on the list anymore. That’s the joy of a boutique cellar like this one – wines come and go, and there’s always something new. There’s plenty of room for you and your friends, and dogs are welcomed on-lead in the garden. 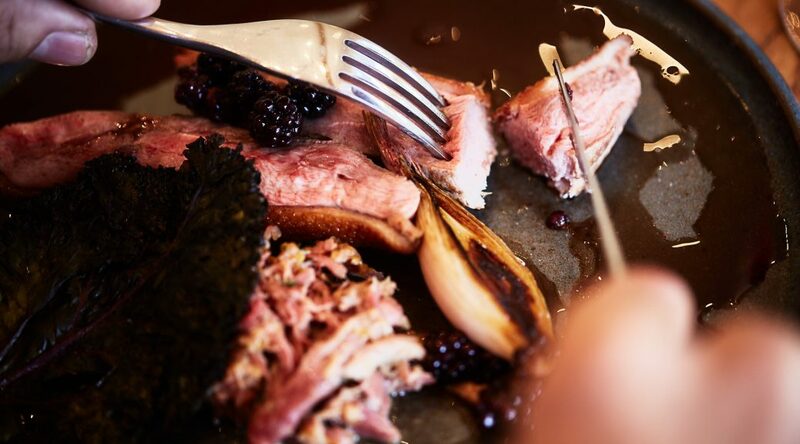 There are choices for non-meat-eaters, as well as the food that comes off that stunning wood-fired BBQ. On weekends the garden caravan bar opens up too, and with three places to place your order, it’s never a long queue at the bar for a beverage. It’s an unassuming introduction to Port Phillip Estate, through a door that feels a little bit industrial and a little bit James Bond. It opens out into the most extraordinary view across the fields to the ocean, with cellar door and casual bistro to the right, and more formal restaurant to the left. There is a kind of curious dissonance in the slightly casual chairs and the formal settings, the friendliness of the staff and the formality of the restaurant fit-out. It’s like the formality has been dialled down in a venue where the quality has been dialled way up. It’s a feeling that carries through to the food. It’s hard to describe the visceral experience of sitting in front of such beautiful food. It’s an exercise in the balance of beautiful presentation without overshadowing the beautiful produce. Desserts are a stunning display of skill, but still don’t overshadow the produce they’re made from. That produce is locally sourced wherever possible, and the menu is seasonal. 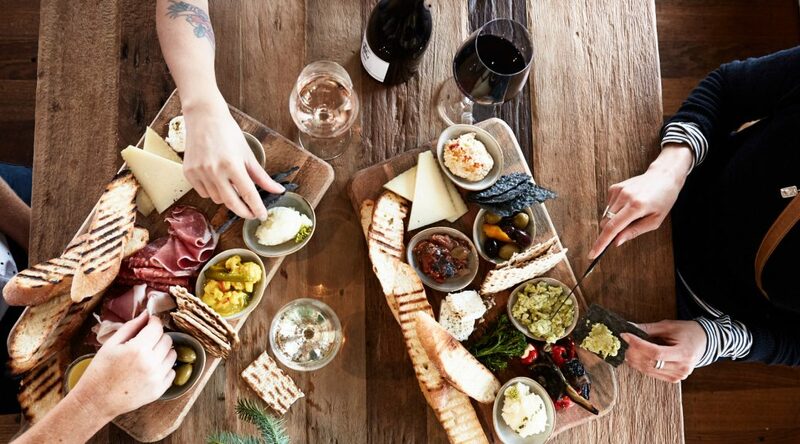 The cellar-door experience is worth leaving a little extra time for. The wines of the estate are renowned for their quality. For those wanting a little more time to take it all in, the accommodation is spectacular and shares that view across the fields to the ocean. ‘Where did you get the name?’ The first and most obvious question about Bill and Beat’s has the most wonderful answer. Owner Jenna’s grandparents, William and Beatrice, were an inspiration for hospitality. The shed was always open for beers, and the kitchen was always open for food. Yay for Bill and Beat – what a great tradition to pass on! The coffee here is a standout. OHO’s old friends at Mansfield Coffee Merchant supply the sacred beans, and they’re handled with a care and consistency that makes us smile. Don’t be fooled by the small shopfront. Bill and Beat’s is big enough to do three- to four-hundred covers on a Sunday. There’s a big room out back with a kind of communal beer-hall vibe that’s heaps of fun, and a function room upstairs. All the cakes are made in house; if you’re lunching, try the house-made gnocchi with its little bit of crunch from finishing in the pan with butter. Road trips are all about the journey, not just the destination. 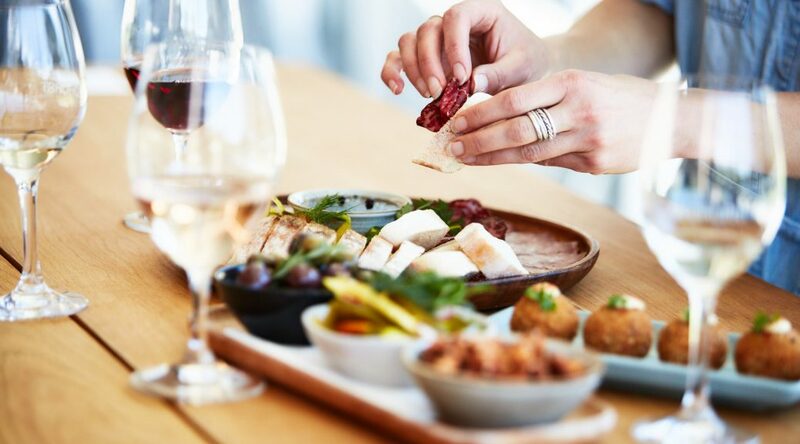 If your destination is Phillip Island on a Friday night for a weekend getaway, we have an idea for you to make your mini-break kick off just that bit better. Rusty Water Brewery Restaurant & Bar is on the road to Cowes, Phillip Island. We suggest knocking off work a little earlier and heading for this road-side gem. 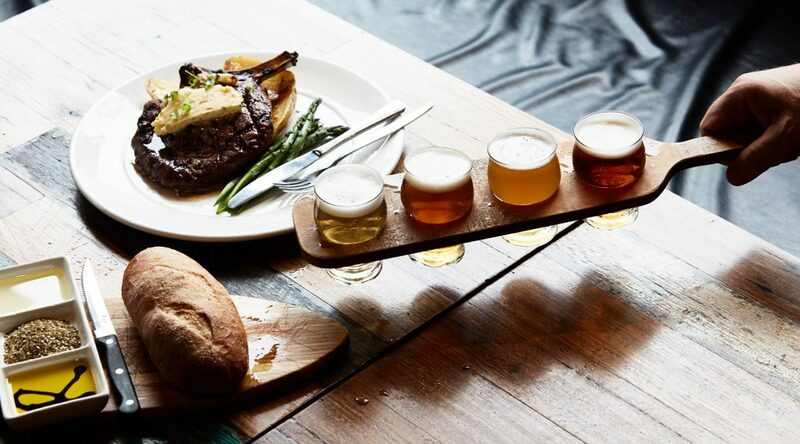 It’s a casual tavern-style experience with great pub food, paddles of beers for tastings, and their own brews on tap. It’s definitely a place for meeting up with mates to get things started right. There’s usually live music on Friday, and the atmosphere is lively and fun. Things can get pretty hectic during the Grand Prix or V8Supercars rounds, but it’s still a great destination and loads of fun even when it’s bursting at the seams. As for the beers, they are brewed with food and fun in mind. There’s a wide range of styles, with something for everyone. If you can’t make up your mind, just get a tasting paddle. Pick your favourite from there, and bingo! Your session beer. The beer sourdough is a highlight. Just be sure to leave room for that steak. Here’s a reminder to people who might wonder what on earth a tiny coastal hamlet has to offer the wine lover. Phillip Island is nestled just next to the Gippsland coast. So, all those things you love about the flavour of Gippsland wines apply here. The wines are complex and full of character. But that’s not the whole story. 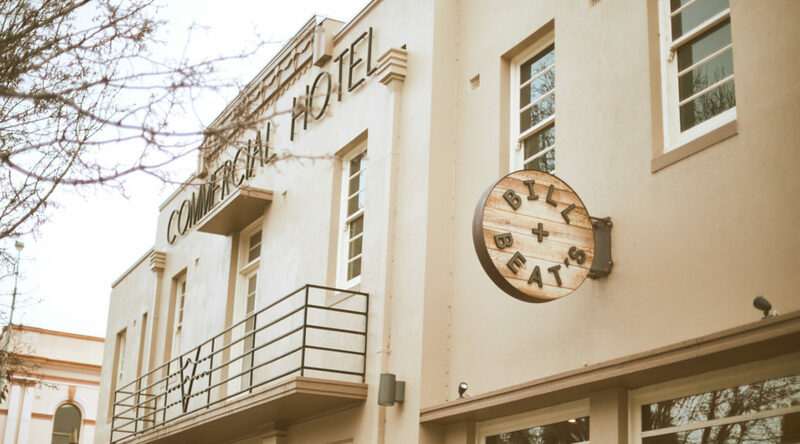 The owners of this place have form putting together the kind of venue where you want to spend a lazy afternoon with friends, having made a success out of the Westernport Hotel. The experience shows. Decor is considered and comfortable, dining choices from inside, to the outside open fire, to the expansive lawns are all beautifully put together without being fussy. Food is casual, from local produce. It’s for sharing, or for keeping to yourself, depending on how much you love your friends. The wines are on taste in the cellar door, so have a look before you order with lunch. The venue is perfect for larger events, with a couple of spaces designed for the purpose. But don’t let that thought put you off an intimate lunch here, because that stunning view across the paddocks to Westernport is the prettiest way to spend a quiet foodie afternoon with wine and the person you love. There’s a quirky bonus in visiting the winery, in the form of a little farm-gate style shop/studio for floral designer and stylist Bec Newman. Warmer months here are ideal for a venue that boasts so many outdoor options, including the atrium, bean bags, live music, and a menu for your dog. You might know Yabby Lake for its wines. The wines from winemaker Tom Carson are exquisite, and the subject of many a wine review containing rapturous hyperbole. The 2014 pinot noir quite famously won the Jimmy Watson Trophy – Australia’s most prestigious wine gong. It was the first pinot noir to do so. The cellar door is a welcome breath of casual air, despite the lofty reputation of the wines. It’s a nice place to stand and taste a few of the award-winning wines while staring at either the sculpture collection, the view across the vineyards, or that Jimmy Watson Trophy in the cabinet. Take a little time to try the single block wines if you have the opportunity – they are a stunning lesson in terroir*. The tasting is a lovely prelude to a long lunch. 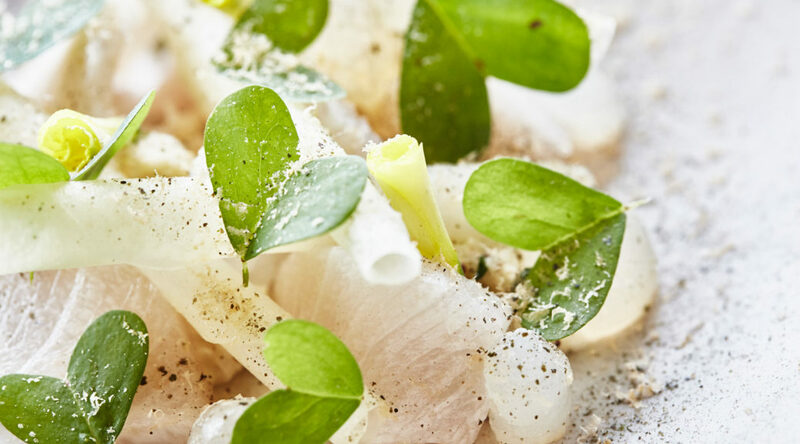 The menu is casual but sophisticated, the plates generous but refined. There are few better ways to spend an afternoon than sitting in front of a view drinking some of Australia’s best wines, eating good food, and pondering the artworks. The Kirby family are well known patrons of the arts in Australia, and the collection at Yabby Lake is significant. The attention to detail extends right to the end (or the beginning, depending on your preference) with expertly made Market Lane coffee. * a French term which roughly translates as ‘the influence of all things local to a place upon the end product’. All good destination food venues have something unique. It could be the view, the remote location, or the proximity to something else amazing. All have one thing in common. Someone had the audacity to stick an unmissable culinary experience in a location that’s off the beaten track. Deirdre’s is the definition of all of that. Literally in the middle of an olive grove, up a track, somewhere in the wilds outside of Horsham at the base of one of those stunning rock escarpments. It’s also unmissable. Everywhere we went in Horsham, people asked us if we were going to Deirdre’s, and how much time we’d allowed. Deirdre defines hospitality in the true sense of the word, not as an industry. Food comes when she’s cooked it. She brings it out to you. It’s bloody fantastic. So are the wines, the majority of which are local. You don’t come here for a quick bite to eat – and why would you. The location is enough to slow your world right down. Drink a few vinos, munch on the bread with the property’s own olive oil, and just chill. Deirdre’s, the quirky shed in the middle of an olive plantation, is well worth the detour. Just book, and allow some time to relax and go with the flow.